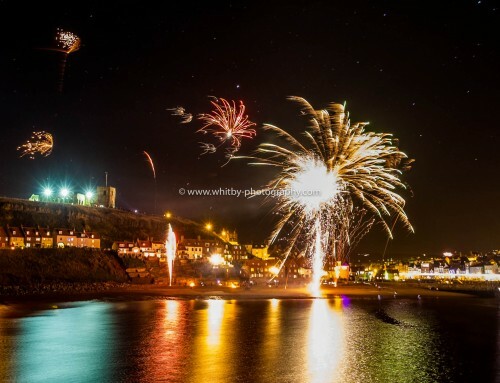 The 2018 event was held over the weekend of 8th and 9th September 2018 with a whole host of Artists, Musicians, Street Performers, and even Fire Jugglers. Alongside the visual events held outdoors there was also be a total 100 galleries offering a diversity of artwork for sale. 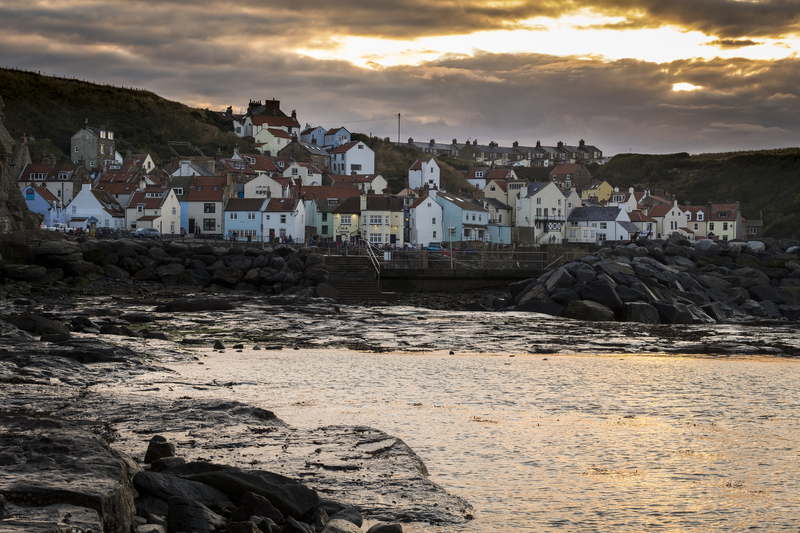 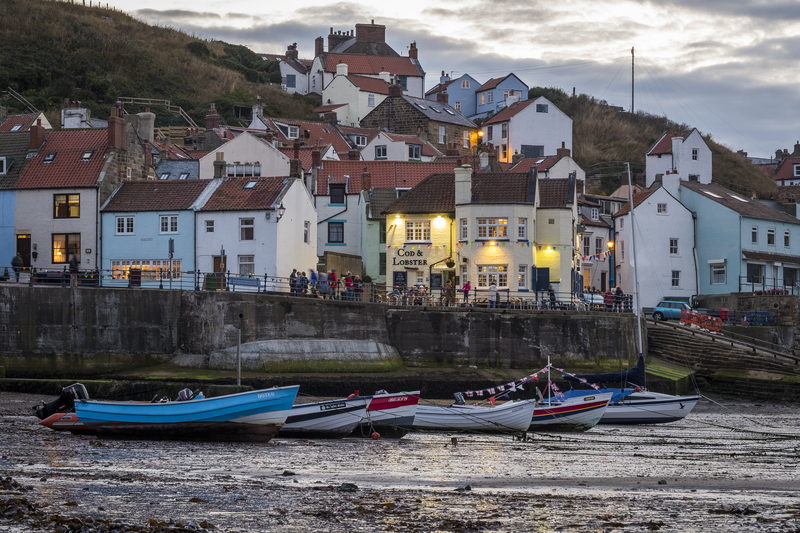 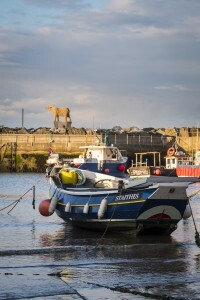 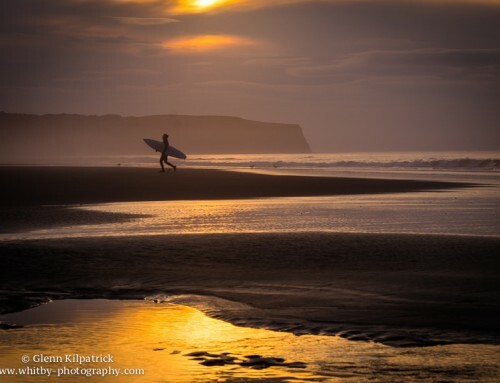 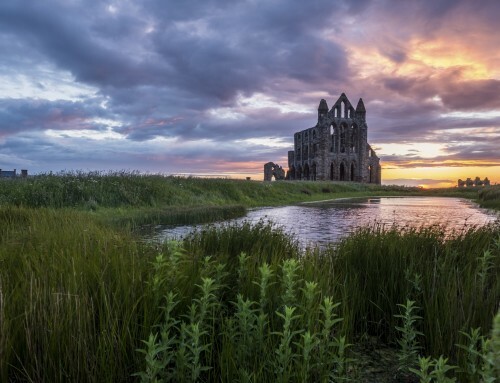 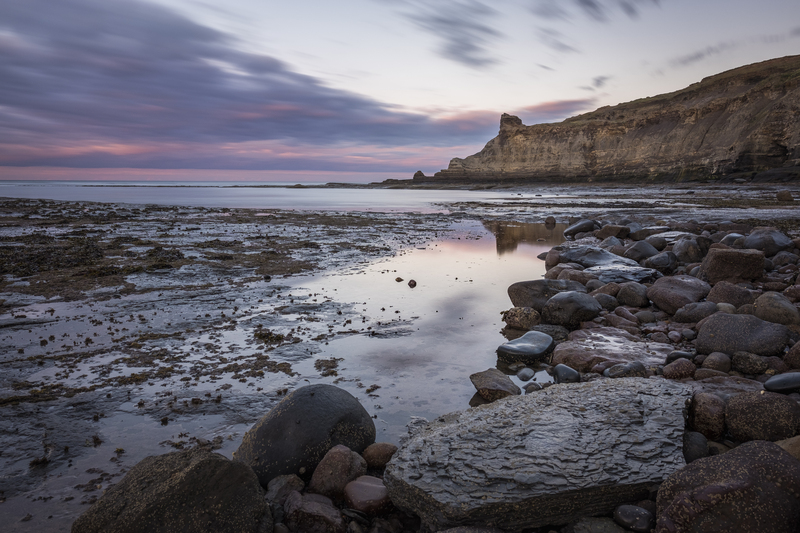 You can read about the next Staithes Festival here. 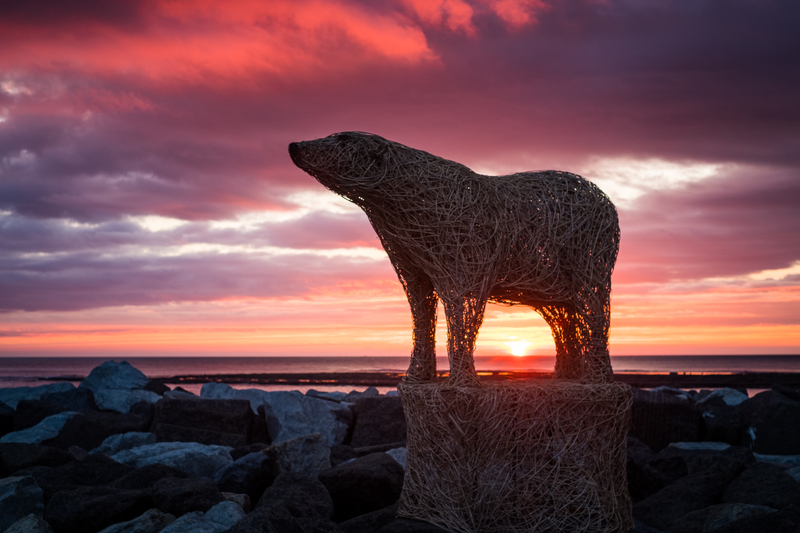 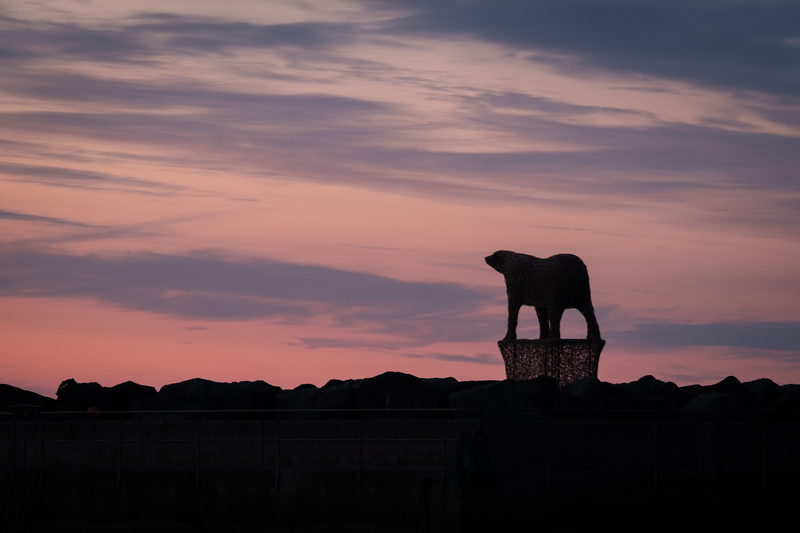 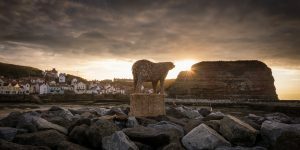 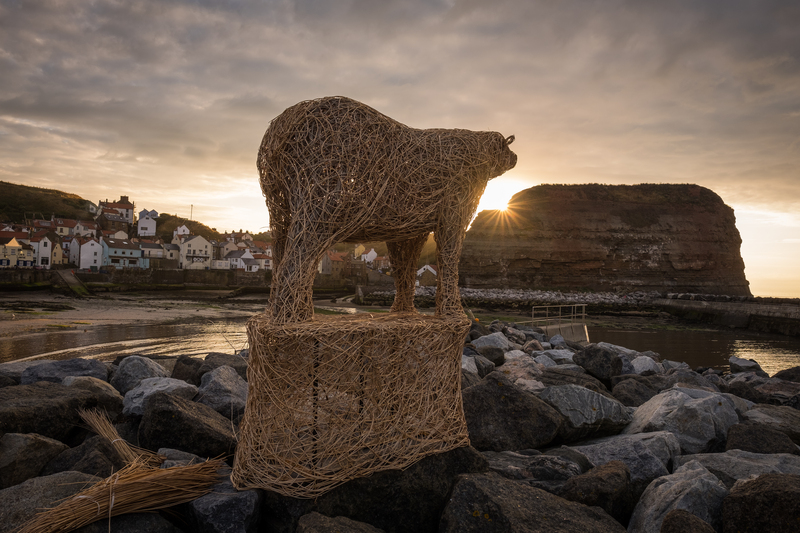 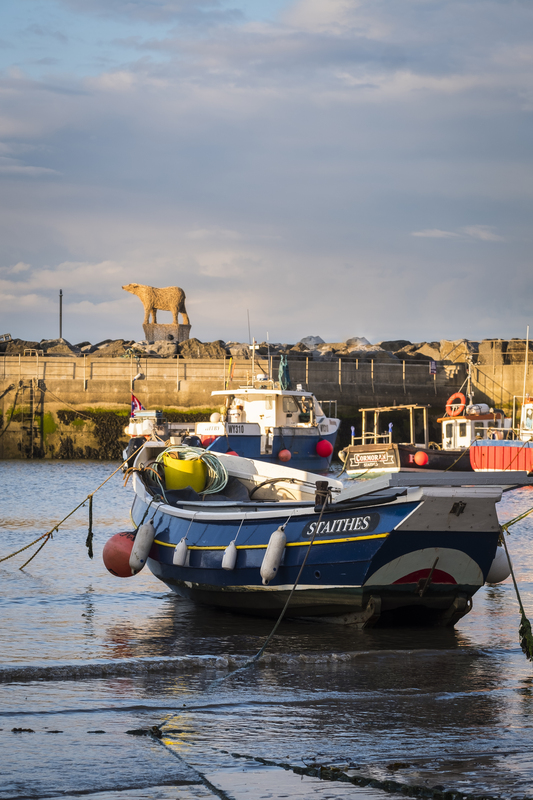 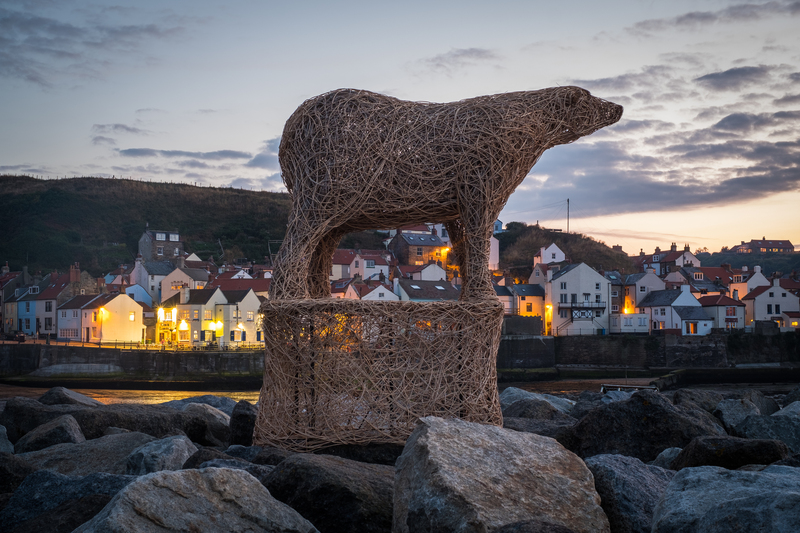 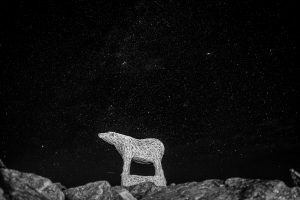 As always, local sculptor Emma Stothard exhibited at the festival, this years offering, perhaps being one of her best, a Giant polar bear on the outer pier of the harbour. 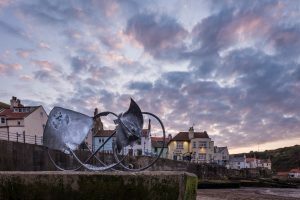 A new addition to the Festival for 2018 was the amazing work of Artist Blacksmith Katie Ventress. Fast establishing a name for herself as one of the countries best blacksmiths, Katie’s work is sought after far and wide. 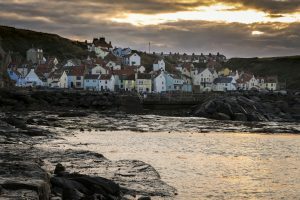 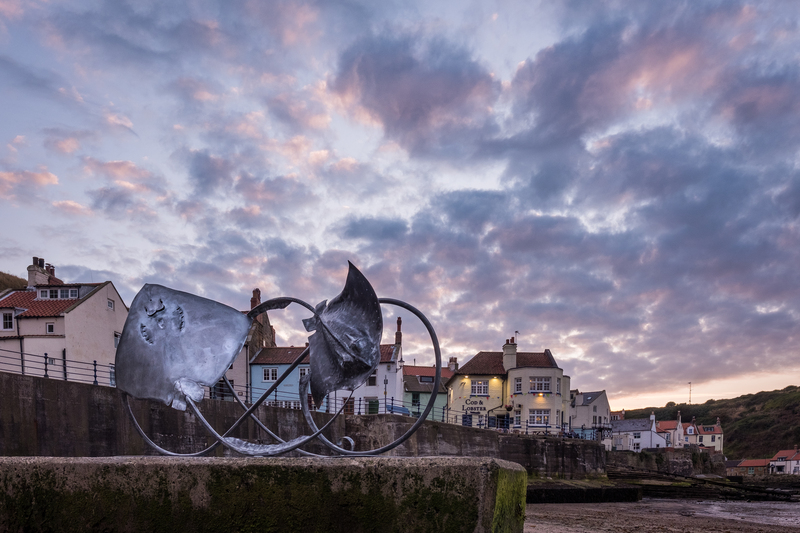 For the 2018 Staithes Festival, and keeping with the coastal theme that runs true through so much of her work, Katie exhibited two stingrays on the small jetty under the Cod And Lobster pub. 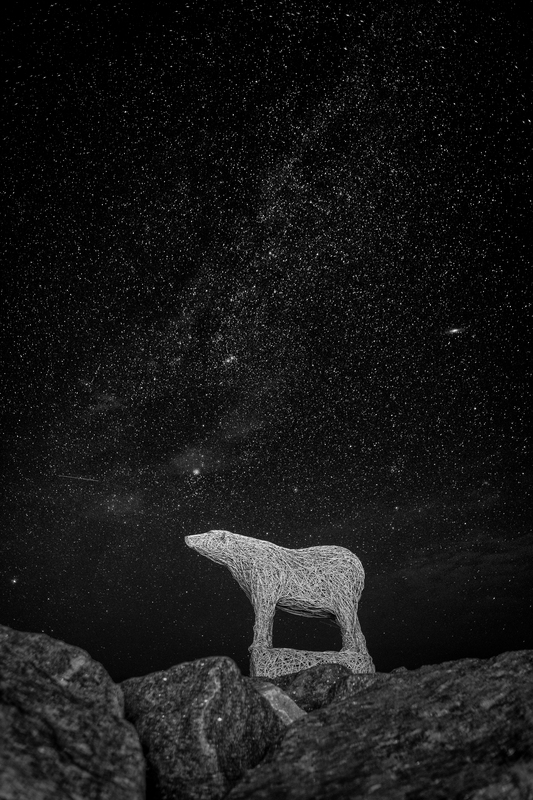 Mick was back once again with another fantastic show of lights around the village. 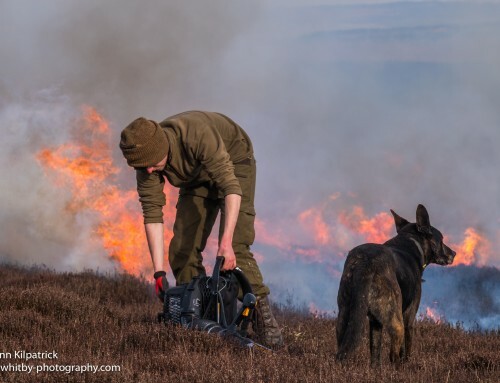 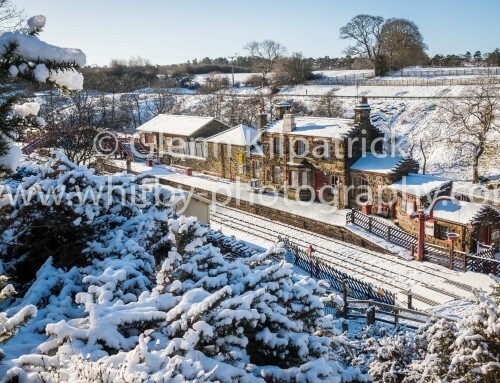 All images and videos are available to purchase. Press use is free depending on agreement to terms and conditions. Licenses are available for artists usage. 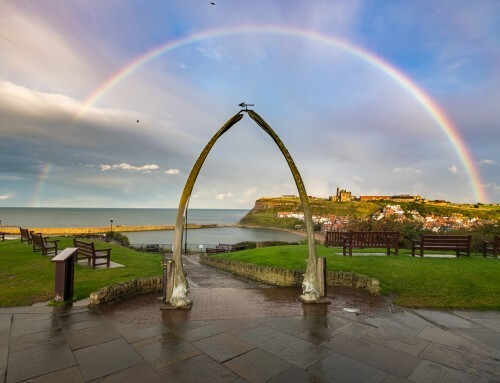 Please email whitbyphotography1@gmail.com for more information.